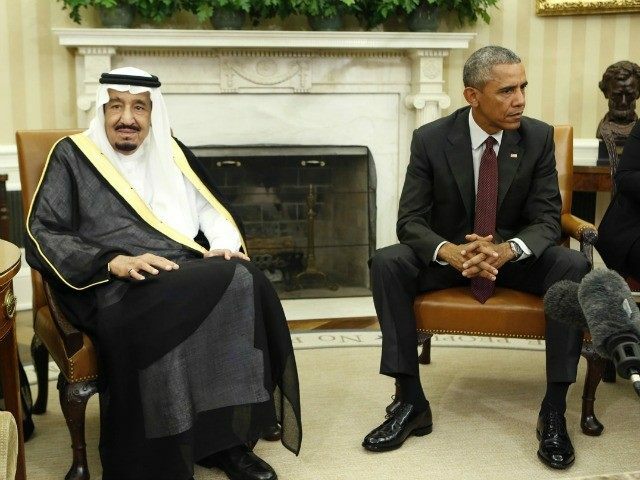 Article reports that U.S. President Obama will veto a bill by the U.S. Congress to investigate the role of foreign governments in the September 11, 2001 attacks on the U.S. . "While Saudi Arabia has not been directly and officially implicated in the 9/11 attacks - yet - 15 of the 19 hijackers were of Saudi descent. Moreover, there has long been suspicion about ties between the royal family of Saudi Arabia to terror, speculation that has only intensified as 28 pages of a congressional investigation into the 9/11 attacks remains classified. As pressure grows on Congress to let 9/11 victims' families pursue their claims against Saudi Arabia in federal court, Saudi officials are quickly pushing back. Following the Saudi threat to dump its U.S. denominated assets, including billions in U.S. Treasurys, Cornyn was quick to dismiss the threat: 'It's seems overly defensive to me and I doubt they can do it,' he said in response. 'I don't think we should let foreign countries dictate the domestic policy of the United States so, no, it doesn't bother me at all.'" This is the state religion of Saudi. Notice the video does not reference a particular group or subset of the community. References relate to the core of the thing. It is time to face reality. Most of these people really believe this stuff and certainly the society there is built upon this foundation.